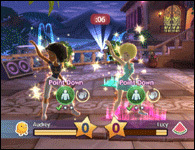 In Boogie SuperStar, players are discovered by a team of judges and whisked away to a secret island, where they learn the coolest dance moves and show off their singing and dancing skills in the ultimate competition, the Boogie Star Show! 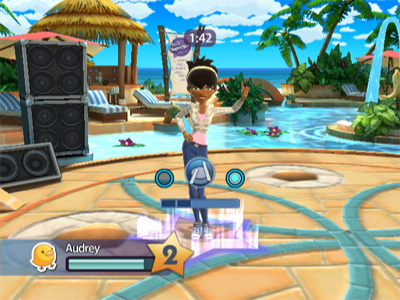 Girls can perform with a friend, competing as a team in the Boogie Star Show, or, they can compete against one another with as many as four players. 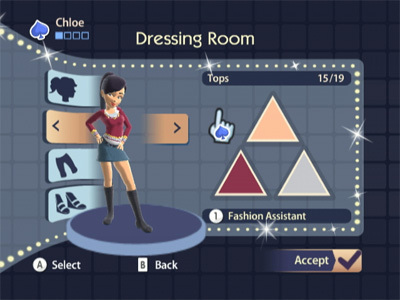 As girls improve and win Boogie Star Shows, they are able to unlock exciting treasures, such as new outfits, new dance moves, and more of their favorite songs, on the way to achieving SuperStar status!